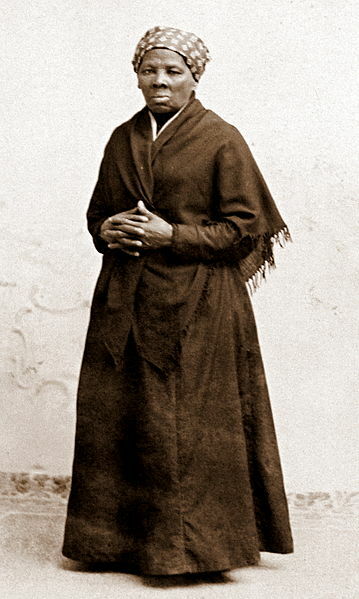 Harriet Tubman (born Araminta Ross in 1820) was an American woman who escaped from slavery and became an abolitionist. Around 1844 she married John Tubman, who was free. In 1849 she heard that she was going to be sold, so she fled to Philadelphia. She had to leave her husband and parents behind. After making her way to freedom, Tubman led more than 300 slaves to freedom along the Underground Railroad over the next ten years. There is a lot more information about Harriet Tubman HERE and it is fascinating. You should check it out! Sometimes, I think I have courage. But when I read about someone like Harriet Tubman, I feel like I’ve never known it. This entry was posted in The Quotable Nerdy Chick and tagged brainy women quotes, conductor of the underground railroad, famous women quotes, Harriet Tubman, Harriet Tubman Quotes, smart women quotes. These quotes inspire. Thanks Kami.